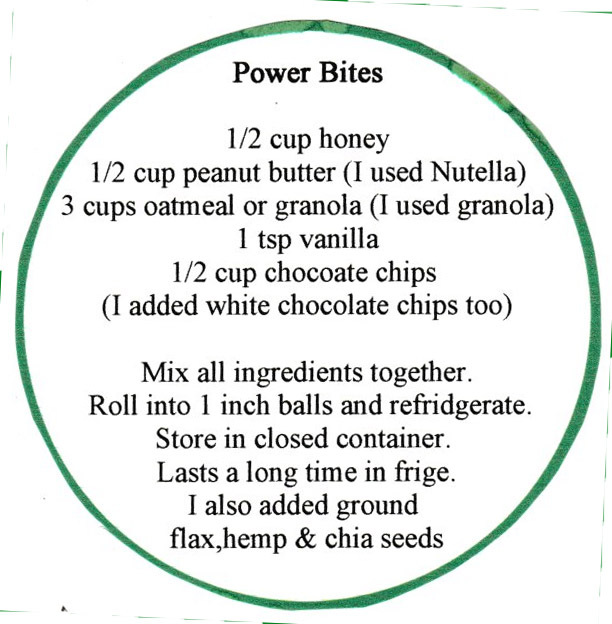 This recipe was in the back of the New Holland Magazine that we receive each month. It sounded good and healthy too so I decided to make some power Bites and add them to the gift baskets I was making for family and friends. Of course, I made enough for Bill and I too. I tripled the recipe to be sure I had enough. I did substitute Nutella Hazelnut Spread for the peanut butter because my grandson is allergic to peanuts. I think they were even better than they would have been originally. I also added craisens, raisins, pecans and walnuts. 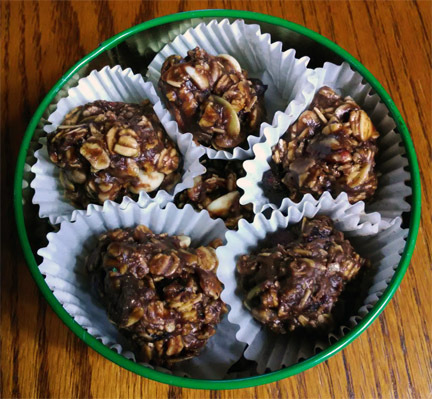 I put the power balls into tiny candy cups and stacked them into little round tins. I printed the recipe on round cards that I made from card stock. They fit perfectly under the lid. These were a big hit! Now if we can just keep from eating every one that I saved for us at one time! 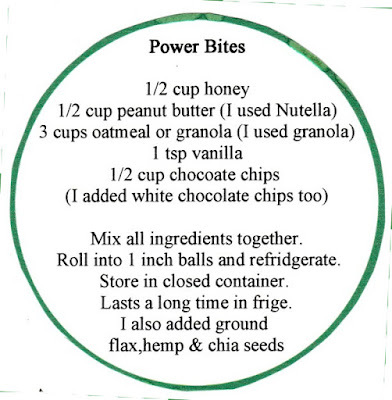 My recipe is printed below. I found them much easier to shape with damp hands.